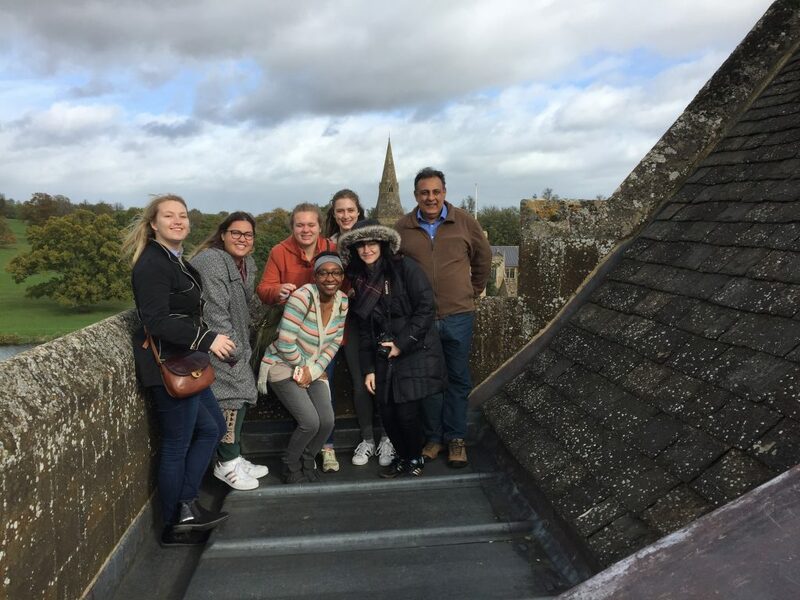 OPUS students and Programme Director Deepak Mukhi atop Broughton Castle. Welcome to our web page. We carry limited advertising so you have done well to have come this far. If you are serious about coming to Oxford, you cannot do better than this Programme. Our level of organization, personal care, and dedication to detail have consistently won high praise and recommendation.See US Commission Report. The only way to get an objective view of this Programme, or indeed of any Programme, is to ask your Study Abroad Adviser to request electronic feedback from the entire community of study abroad advisers at SECUSSA, of which your Study Abroad Adviser will almost certainly be a member. This is the single most important thing you can do to make an informed choice. Study abroad is a once in a lifetime opportunity and it is important to get it right. The quality of a programme determines hugely the enjoyment of your experience and what you actually achieve. It is sometimes difficult to learn the truth about a program beyond the hype and the advertising. Cost is not always an accurate indicator of quality. We hope the information below clearly and accurately describes what we offer and also alerts you to some of the factors you may wish to consider. Please read these pages carefully and methodically. We hope we have kept them simple and precise. It is easiest to always return to this page to explore further tabs. Please feel free to contact us for any further details you might require.